Plumbago Zeylanica is known as Doctor bush or Ceylon Leadwort commonly and is a plumbago species having a pan-tropical distribution. Stem of this plant which is herbaceous is glabrous and grows erect, climbs or is prostrate. Leaves are sessile or petiolate and have blades that are oblanceolate, spatulate, lance elliptic or ovate. Extracts of the plant are not toxic on fish but show potency in larvicidal activities of the mosquitoes against the Aedes Aegipti larvae. 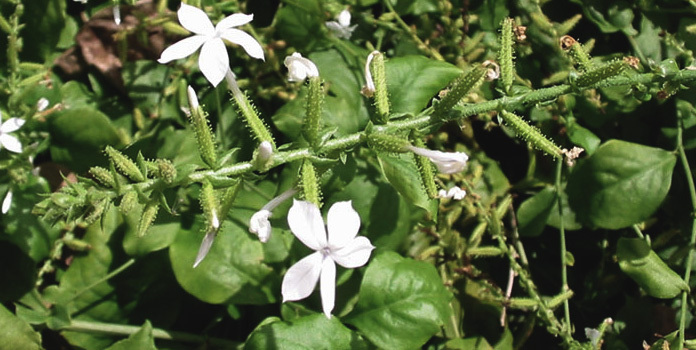 Against the canine distemper virus, activity is shown by Plumbago Zeylancia’s, hexane extracts. Scientific name is Plumbaginacea and synonym is P.Viscosa. In English it is known as Plumbago, white leadwort and Ceylon leadwort while in India it is known as chitramul and chitrak. In Germany it is known as Zahnkraut and Bleiwurz while in Arabia it is known as Matsisa, Ensain, Mzura Ndebele, EnkinChagga, OsuhureKilongo. In Swahili it is known as Mosikomabe and Tswana. Herba Plumbaginis is its pharmaceutical definition. The plant grows in Africa also but it is native to regions in South East Asia. This is an evergreen shrub with lots of branches with ovate dark green leaves. White flowers grow densely on the tree all through the year. With blue flowers it grows as an ornamental shrub in Europe. Parts of the entire plant are used including the roots. The root is powdered for medicinal purposes. Extracts contain flavonoids, alkaloids and phenols. Gastro intestinal problems are treated with the extract in North West Ethiopia and in Assam for sterilization in permanent form, controlling birth and family planning. Ulcers, diseases caused by parasites and scabies are treated in Nigeria in the South West region. 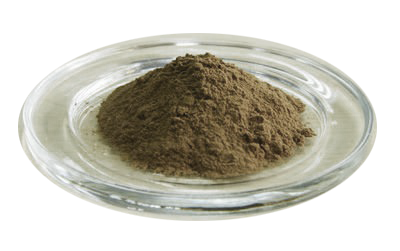 It is used as an anti-oxidant in a herbal mixture with salt and spice called Amrita Bindu in Chennai in India. It is known for its antimycotic and antibacterial activity. Plumbago Zeylanica is used in Sidda and Ayurvedic medicine traditionally and has been assigned great medicinal properties. Extracts of this herb are effective in the treatment of malaria, diseases of the skin, fever, piles, diarrhoea and dyspepsia and also leprotic lesions. 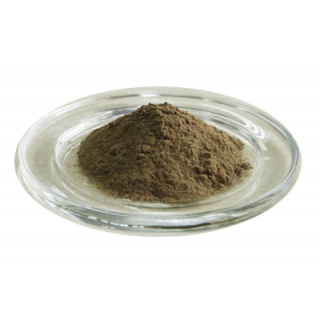 It is used as an antiviral medication in Nepal and in Taiwan in anti helicobacter activities.